Robert G. (Jock) Michelotti, Jr. is a Partner in the Billings Commercial Department. Jock began his career with the international accounting firm of Price Waterhouse & Co. in Los Angeles, then returned to school to obtain tax and law degrees. His education and work experience led him to a practice focused on estate planning, estate and trust administration, tax, real estate, and business law. Over the years, Jock has enjoyed participating in the Billings business, education, and non-profit community in a meaningful way. 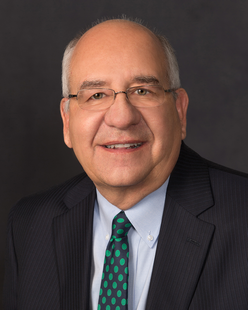 He was privileged to receive the 2003 Professionalism Award from the Yellowstone Area Bar Association, the Friend of Billings Clinic Award in 2007, and selected as the 2009 Distinguished Graduate of the Billings Catholic Schools. Jock and his wife, Connie, have three daughters, Nicole, Christina, and Marissa.